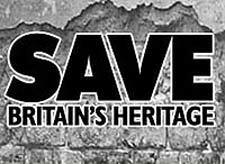 Two landmark historic buildings in Derbyshire are to feature in the forthcoming annual catalogue of buildings at risk published on 1st June by influential conservation charity, SAVE Britain's Heritage. Each year, the heritage group shines a spotlight on 100 or so historic buildings in need of repair throughout England and Wales. These crumbling gems are also added to an online database, which has been running since 1989 with the aim of attracting suitable people to take them on and restore them to their former glory. The buildings featured are very different in character but both are in need of some 'TLC'. They are Spital Cemetery Chapel and Park Hall Farm Barn, both in Chesterfield. The 19th century saw a huge cemetery building programme in response to population growth and an increase in the demands of non-Anglican denominations. The majority were laid out on a garden plan with a cemetery chapel at their heart, and these (like Spital Chapel) were divided to provide Anglican and Nonconformist accommodation. Sadly, having ceased to function, many of these chapels are now at risk. Spital Chapel, which dates from 1857, is now boarded up and used for storage. The chapel has two attractive spires, one in the form of an obelisk and the other a broach spire above the entrance porch. It is in a poor state of repair with deteriorating masonry and water penetration exacerbated by lead theft from the valleys in the roof. The building is owned by the council who, together with the Friends of Spital Cemetery, are keen to find a viable alternative use. As the building is set within the cemetery access may be an issue, but this is not an insurmountable problem, as demonstrated by the increasing number of cemetery chapels that are being brought back to life in the form of small offices, studios, community spaces and even homes. Anyone who has an imaginative suggestion for Spital Chapel could contact the local conservation officer. 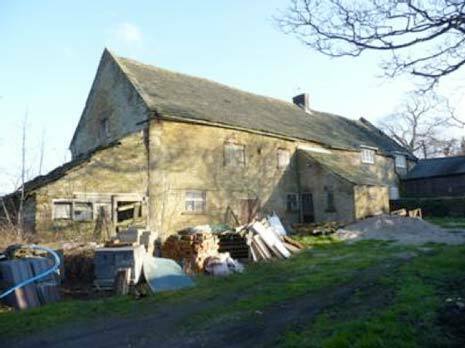 This large and attractive barn is an excellent candidate for a sensitive residential restoration. It dates from the late 17th century and is of coursed stone rubble with a stone slate roof. The east elevation has large doors with massive quoins and lintels. The west side contains a former wagon entrance under a projecting stone roof and there is a converted 19th-century cottage on the south side,currently in separate ownership. Apart from the cottage, the barn has been vacant for over a decade. The stonework is now deteriorating and the roof is leaking. The owner has discussed the possibility of residential conversion with the council in the past but, although they are likely to look favourably on such a scheme, no plans have been put forward. It is possible that the owner may be prepared to sell and the conservation officer is happy to pass on any enquiries. The building stands close to Grade II listed Park Hall with its beautiful gardens (which can be visited as part of the National Gardens Scheme). Walton is a peaceful suburb of Chesterfield, which has one of the largest open air markets in Britain as well as easy access to the M1.